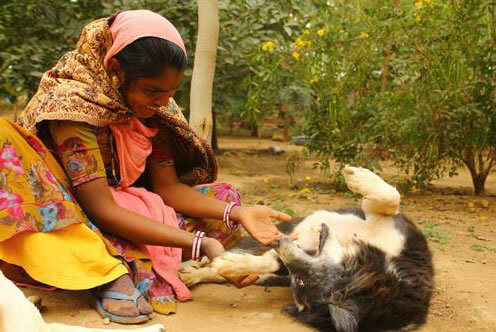 Each year the Animal Rescue team in India rescue over 3,000 animals with the help of our volunteers. It's amazing to follow each animal's path to recovery and Buddy has an incredible tale. Buddy was found terribly wounded on 11th October, 2011 by a young local boy named Sohan in a village near the Animal Rescue Centre in India. Sohan, just 9 years old, had seen Buddy lying lifelessly under a table outside of a school. 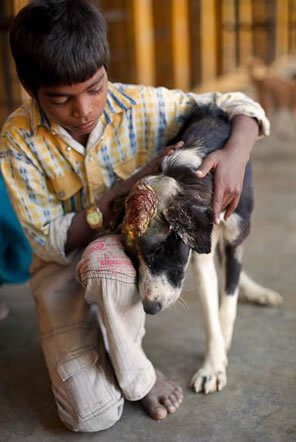 The top of Buddy’s head was an open maggot-infested wound. Sohan had no mobile phone and not even a rupee in his pocket, so he waited for the Street Animal Rescue project ambulance to pass through the village. He knew it would pass by at least once a day. After waiting patiently he finally saw the ambulance and waved desperately for them to stop, and led the team to Buddy. At first sight, it appeared that Buddy would have little chance of surviving. But with years of experience rescuing animals, the local team decided to give Buddy a chance. 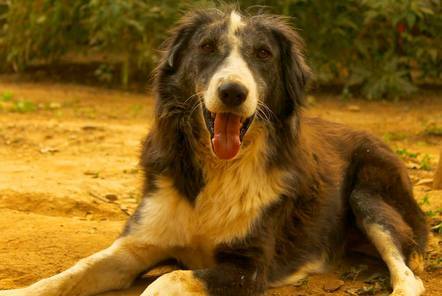 Buddy was taken to the team at the Animal Rescue Centre in India which provides continuous support and care for the street animals of Udaipur; many of which have been abused, neglected, ill or injured. They weren’t sure they could save him, but knew there was only one way to find out. They put powder in the wound first to kill the maggots while giving him IV fluids to treat his severe dehydration. They then put Buddy under sedation and thoroughly cleaned and debrided the wound, and then bandaged him up. By day 5 he was noticeably more energetic. Standing, eating with interest and appreciating the attention and TLC that he was receiving. Every day the team cleaned and freshly bandaged the wound. A few weeks later Sohan came to visit Buddy and there was no denying that Buddy recognized the boy who had saved his life.